It is understandable to be scared when jumping out of a perfectly good airplane, but a lot of people don’t know what they are missing when it comes to skydiving. Coming from someone who has lived the experience first-hand, trust me when I say, it’s a literal leap of faith that everyone should take at least once in their life! Personally, I am terrified of heights, even ladders, but I was able to conquer my fear and have the time of my life within 20 minutes. Even if you don’t want to take my word for it, here are 5 more reasons to consider before making your decision. It is difficult to describe skydiving with a comparison when it comes to the rush and thrill that you experience just before you plummet to the ground from 14,000 feet in the air at 120+ mph. While that may be an intimidating way to describe it, there is an uncommon belief that you feel like you’re on a roller coaster the whole way down. That statement could not be further from the truth. The only concept that is remotely comparable would be sticking your head out of a car window while speeding down the highway. Not too bad at all, especially when you have a certified tandem instructor strapped to your back! The chances are, you have never been able to see as far as you can when falling from 14,000 ft. Once the minute-long freefall is done and the parachute deploys, and there is not much to do besides appreciate the views. You peacefully glide back down to the Earth’s surface with scenery that will make you not want to come back down! Whether or not it is your first time jumping, you have to get the picture package at least once. It is definitely worth the extra bit of money! You never truly know your potential to be ugly until you have pictures of your face being pushed back by 100 mph winds. It’s not only hilarious, but you also get some awesome pictures to capture the way you feel throughout the thrill of the freefall. It doesn’t matter if it took three years of convincing or if you were gung-ho to jump from the beginning, skydiving takes a lot of courage! Not only do you get to mark this awesome experience off of your bucket list, but you also get to brag to your friends about how you overcame your fears! There is nothing like it. The entire experience, from start to end, as soon as that door opens and you jump, there is a sense of bliss that is almost peaceful and serene. It might seem scary at first, but once your feet hit the ground, you realize that you just experienced something that very few get to, and it was completely worth it! Skydiving will be a memory that you will never forget. Even if something doesn’t go as planned, life was made for living, and that’s how life works, right? At least with skydiving, there’s an awesome story to go with it! Don’t wait any longer! 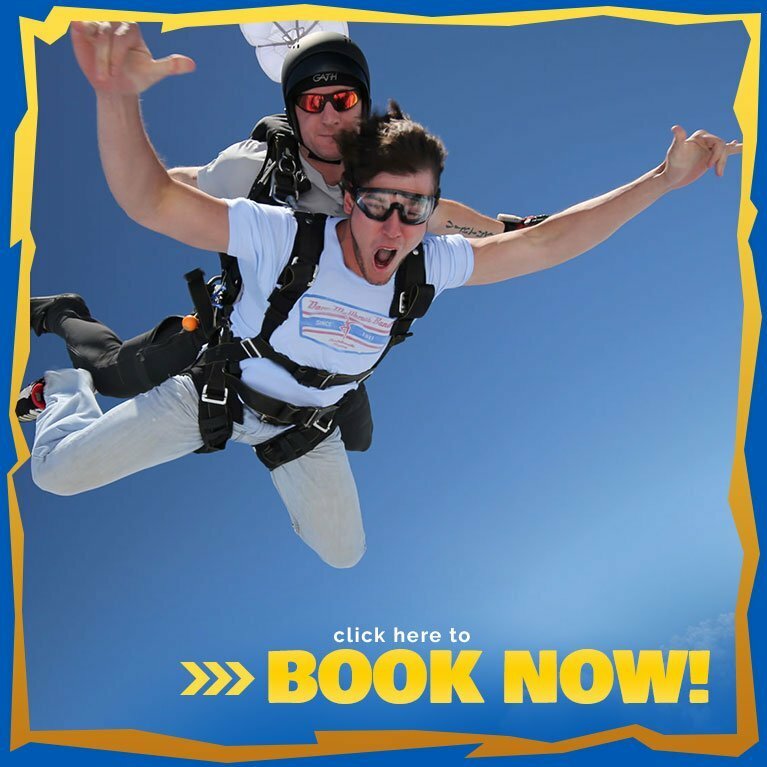 Leap into Spring with Skydive Philadelphia by calling 215-257-3645 now!